Waterproof, reliable and affordable soil moisture sensor. Measure it right! 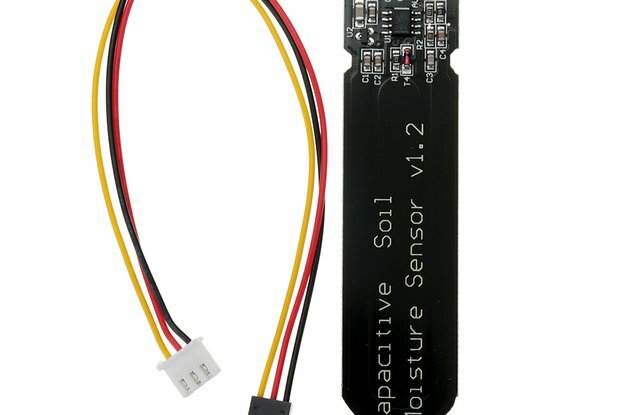 Being into DIY electronics myself, I found it impossible to get an affordable and reliable soil moisture sensor. I thought I will make one myself. The challenge took me 1.5 years to complete. It was lots of trials and even more errors, but I have made a sensor which ticks all my boxes. 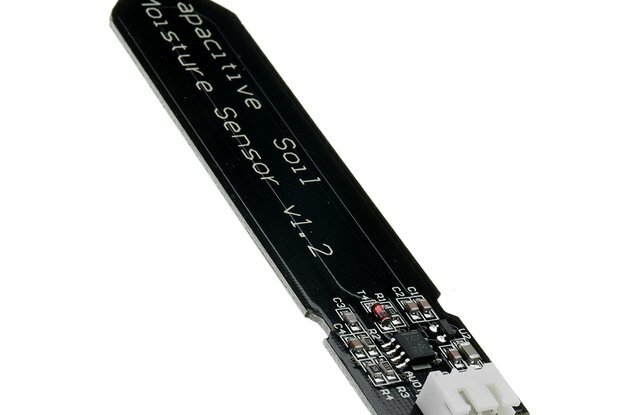 I am proud to present this soil moisture sensor which is both affordable and reliable! 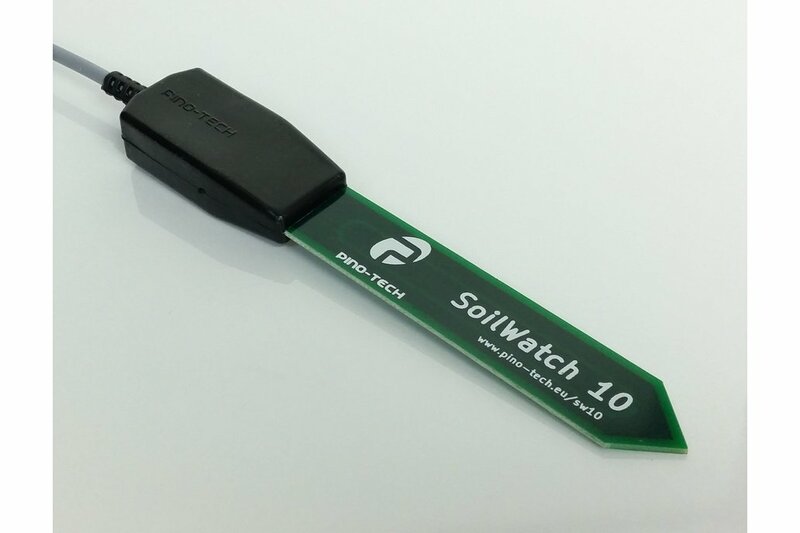 SoilWatch 10 is a soil moisture sensor which allows measuring relative water content in the soil. It’s far more superior to resistive soil moisture sensors. Our sensor does not have any exposed electrodes that usually corrode in resistive sensors. Whats more the reads will almost not drift over time or with temperature changes. 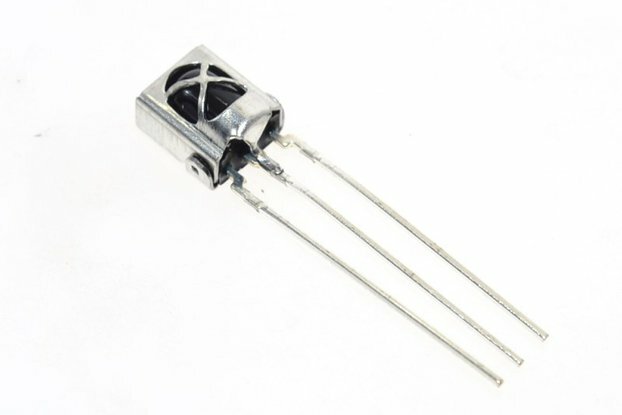 Our sensor will give the same readings regardless of supply voltage. The sensor is weatherproof. It can be buried in soil for extended periods of time without adverse effects on accuracy or reliability. Our sensor is being assembled and tested in-house. This allows us to have full control over the quality of our product. We charge $5 for the first item and $0.5 for any additional via Priority Mail shipping. Delivery times vary. Europe is usually within 7-14 days, USA usually 7-28 days, Australia usually 14-30 days. DHL Express 1-7 days worldwide. If you order from outside of European Union you may be liable for import duties/taxes. Orders usually shipped within 48h from Poland. I used the SoilWatch 10 sensor and 2 DS18B20 thermometers in a Soil Moisture project. The project involves sending soil moisture and temperature data via a LORA module with the possibility of saving data every 5 minutes on an IOT portal. At first I had used a low-cost capacitive sensor, but I had been disappointed both by how it was made and by the data it gave. Replaced with Pino-Tech's SoilWatch10 it now works fine. Running some tests here in Bali, got it installed outside in my backyard, throwing everything at it to see how the durability is. So far so good. The product works fine for gardening. Due to its high frequency of operation it is resistant to salts.But it is not suitable for any research purpose. The waterproofing is excellent and you can expect a much longer life than the other cheap sensors. It's a very high quality product and it works perfectly! The product has arrived at time. It's clean, brand new and it works like a charm (as expected). The price is a little bit high, but the product worth it. I'm very happy with this sensor. Water (wildly) proof. I have been testing the sensor for two weeks; no errors, no problems, the outcoming data is stable and precise. If you are wondering to buy this product, I recommend you to buy and don't worry, it will do the job. To put it simply - if you make any DIY project that utilizes the standard soil moisture sensor, and you decide to make it a more robust and "real" thing - SoilWatch 10 is the sensor to go for. Also, it is a plug and play, since it uses analog pin just like the other soil moisture sensors. It is very stable in terms of output and temperature changes seam to not make any difference. I implemented some data filtering prior to using this sensor (since I was fighting with the standard cheapo sensors) and I left the averaging routine running, but I think that even without it - SoilWatch would deliver pure data. I tried to used it in my home watering system for my plants - and found it works fine. This sensor still stable and accurate during the month - much more useful for real applications compared with cheap toy resistive sensors. And also it no so expensive (compared with another capacitive sensors on the market). Product is well made and documentation is good. I initially tested by weighing soil in a plastic container, then adding water and weighing again when saturated. I recorded sensor output and weight as water evaporated over several days and came up with a rather non-linear output voltage output vs. average % water. However, I realized I was assuming the water loss was uniform throughout the volume when it really isn't. I repeated the experiment, mixing the soil each day to ensure the moisture was uniformly distributed. This time the sensor output and % water showed a very linear response over the full span. This does bring up the important point that the sensor measures moisture only in its immediate vicinity - the moisture will be very different in pot center vs. edges, so place accordingly. Next I plan to bury one sensor at 1ft deep and another 3ft deep to monitor soil moisture for my orange tree. Definitely recommended. Works very well. Strongly build. Good sentitivity along a width range of soil moisture. Very well insensitive to other influences than humidity. Will for sure last for long time due to the way it is build. - with I2C interface instead of analog output. (ADC accuracy and stability dépends more on the wires and the CU ship used than on the sensor itself. - use conventionnal colors in wires : black = GND, red = Vcc, other color as Output. Everything was very correct, the seller answered my concerns very quickly. I still do not test the sensors, but at first glance it seems that they worked well. Highly recommended. I haven't actually used the products yet, however if the build quality is anything to go by it will perform great. Its a product thats been built to last. Plenty of thought has gone into creating something that is of high quality and can be deployed with confidence. Will update review once I have these things running. Arrive to Spain in one week. Temperature compensated sensor. Easy to install. I've been using this to great effect. My only problem is I don't have anymore! Although that said, I will be looking to buy more in the future as I can afford them. This is going to give me a grip on my soil moisture like never before! I even got stuck and the maker contacted me right back, he supported me, and then some! He's a really nice guy. If you're not sure about this product because you think you're a dummy, then I say screw it, and make an order because you're probably smarter than me. I'm a proper dumbass and got this to work just fine! I'm very pleased with the build quality. Plastic seems waterproof. Cables are fairly long, much longer than I need. Will probably last a summer outside with no problem (not sure about frost damage, but who has plants out in the frost anyhow?). Don't buy too many of these, leave some for me!! ...but also go ahead and make an order. Gah! I'm so torn. Support this guy so he can make more! More! MORE! MOAHR! I have only a very short experience with the sensor but here is what I can say after just one week of usage. First of all, many thanks for having accepted producing a 0->3v output version. This is the one I use. My next good surprise is that it has an excellent isolation to the unwanted influence of its surroundings. Sometimes, in this kind of sensors, just approaching your hand to the cable will deeply influence the reading. Not in this case, well done ! Another very strong point is that as far as I have tested, I have not noticed an influence of the temperature on the reading. Perfect ! All in all, you produced a great little sensor that will find usage in many applications. There are only two things that would worry me for some time. I want to congratulate you for this achievement. I will keep experimenting with the sensors and buy some more in the future. Thanks for a great review of our sensor. 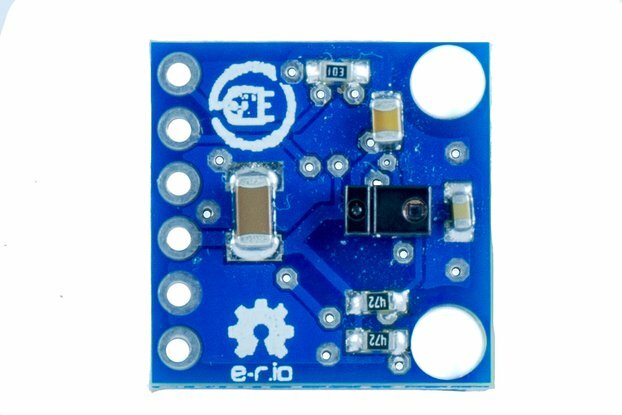 I am sure your review will help a lot of people to decide if this sensor is for them or not. Unfortunately, we don't have the answer to your questions. We only have about a year of tests and so far we had no fail. I guess it will depend a lot on conditions in which sensor is placed. We hope to stay in business too. We will do all it takes to keep delivering best sensors we can.